Every restaurant owner knows the importance of a festive season. With the right marketing strategies, you could not only attract new customers, but also maintain your existing clientele. While running advertisements, initiating special promotions, handing out flyers and pamphlets are just a few general restaurant marketing ideas; they could be even more effective when centered on a particular theme. Festive seasons allow us to set up specifically themed menus. For this year’s Easter, offer your customers an Easter champagne brunch including items like Mimosas and Bloody Mary’s. Brunches are excellent opportunities to get creative with food. You can incorporate the spirit of Easter by serving bunny-shaped cookies or making bunny/egg latte art. Customers like being served by happy workers. By getting your staff to wear egg shaped badges or caps with bunny ears, you can get your customers believing that you are as excited about Easter as they are. Every Easter, kids look forward to Easter egg hunts. This could be used as one of the simplest restaurant marketing ideas for your Easter weekend. Use lots of colorful signs and ribbons to decorate your area. Instead of using real hard boiled or artificial eggs in your game, use artificial eggs made of chocolate (if it doesn't get too hot of course!). To make things even more fun, get an Easter Bunny to pay a surprise visit to your restaurant. The kids would be overjoyed! >>Use this cost-effective method by measuring and analyzing the popularity of your menu items with this easy Menu Engineering Worksheet today! While the kids have their egg hunting games, you can plan a hops fest for the grownups. You can take help from one of your local breweries and plan out a menu with them. Everybody loves a good deal which allows them to enjoy a good meal or a glass of fruit juice and save some money too. Nobody dislikes getting things for free. Make this year’s Easter a memorable event by giving your customers Easter-themed giveaways containing chocolates, candies, Easter-colored key chains, coupons to your restaurant, etc. Giving discounts and planning elaborate menus would go to waste if nobody knows about them. Using social media sites like Facebook, Twitter, etc. is an excellent way of letting people know what you would be serving this Easter Weekend. People who are in the food business know the importance of Instagram. Photograph your restaurant’s most outstanding visual services and stage it up on Instagram. Restaurant business is a competitive market. Rolling out your online and offline campaign at the right time is a crucial aspect. It should neither be too early, nor too late. 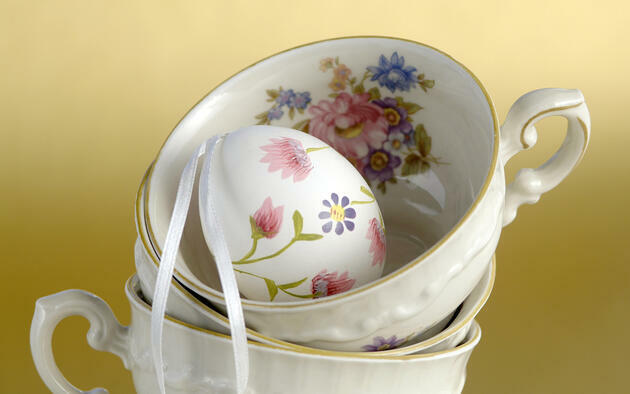 Since Easter is a festival which comes every year, it is important that you plan ahead for things. Are you seeking marketing professionals to guide you to success? Contact us here for more informaton. Use this cost-effective method by measuring and analyzing the popularity of your menu items with this easy Menu Engineering Worksheet today!